Found your blog recently while researching for an upcoming trip. Love it and this post is one of the reasons why. Keep up the good work! A super post! Ramadan Mubarek! It must be quite an amazing Ramadan in the heat. 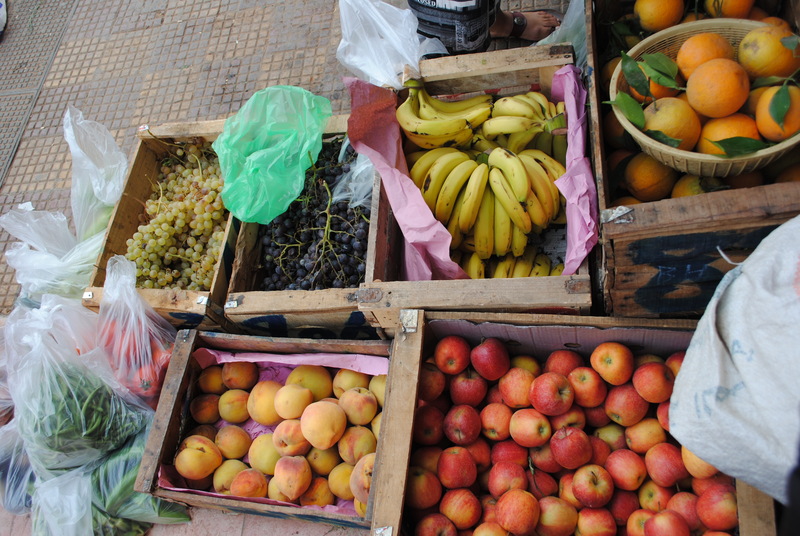 We enjoyed two Ramadans in Marrakesh but in the early fall. It really was a wonderful time even though as Non-Muslims we just shared a little of it with our friends. We only managed a few days of fasting –but loved the fitur. Have a blessed and wonderful month! This is a wonderful posting that says so much in a funny and easy way. A non-Muslim colleague from work was leaving the country the other day and said (jokingly), “Well, I leave you to your suffering.” I just said something like, “No, really, it’s not,” but your blog above is the real answer — and the real suffering, as far as I’m concerned, is living a life cut off from God. Great post, sums it all up. And that’s pretty much the same that’s going on in every city in Morocco. Sorry, but Ramadan is not a fast! It never moves to the cleansing aspect of a real fast, which kicks in after about 3 days of not eating while flushing the system with water. If anything, Ramadan is an example of binge eating during the ‘allowed hours’. An extremely unhealthy yo-yo diet if there ever was one. No disrespect, but Ramadan needs a real re-evaluation when it comes to healing aspects and real, spiritual realisation of what it means to not having any access to food. Try and fast, not eat but drink water for 10 days and see how you feel and see the benefits to your health!!! Let’s move out of the dark ages and adapt to the knowledge we have today! Let’s design a Ramadan that actually cleanses the body and gives it real strength. Are you Muslim? Saying no disrespect and then saying everything that you just said was a a little ridiculous. It was ethnocentric and offensive. I totally respect the idea of Ramadan and it would be fantastic if people in the Western world would take an example and learn from it and would abstain from food once in a while and not take everything for granted all the time. I’m just not coming from a political or religious viewpoint but purely from a health point of view: Our knowledge regarding nutrition has evolved so much and I don’t see why we can not let religion and rituals move with the times in a positive and creative way? We have a saying: what you say is what you are and by calling me “ethnocenric’ and ‘offensive’ I think your projecting your own attitude onto me as I had no intention of offending anybody. The point is that a period of fasting should lengthen the average life expectancy. Ramadan puts a lot of strain on the body: to dehydrate the body in daytime and then eat loads of cooked and fried food before going to sleep is very, very unhealthy. name calling. Ramadan is great but I reckon it could be even better. If Ramadan were healthy life expectancies would be much higher. Life is about change and if religious beliefs are going to be so rigid it’s only going to be a matter of a few generations before they fizzle out, just look at the West. And I’m sorry that a discussion for you means that I can’t respectfully disagree with what you said. I’m absolutely not ethnocentric, and I don’t know what to tell you: sometimes people are offensive even when its not their intent. Comparing any place outside of the west to the west is ethnocentric. Full stop. If you don’t agree you’re entitled to your opinion and I to mine. I find it funny that whenever you accuse someone of overstepping a boundary they instantly get defensive rather than just asking why. And you have to pay attention to you rhetoric. Calling a religious belief rigid when perhaps the people who practice it don’t believe it to be so is offensive, albeit unintentionally, ya dig? Denise, I hear what you are saying about incorporating healthier eating in Ramadan. Point taken. However, eating fried foods is all something very recent. When Ramadan was first practiced, the prophet Muhammad, peace and blessings be upon him, would break fasts with dates and water and nothing else. Then again he would eat a few dates before dawn. It’s only in the present day with our access to any and all foods we take a fancy to, that people have taken to this type of indulgence. Personally I feel I’ve had a very healthy Ramadan. I usually break my fast with dates and water of course, then have a green smoothie (parsley, orange juice, banana). We have salad, fruit salad, and some light fare. Have not had anything fried, any chebbakia or slilou practically all Ramadan. Alhamdulillah I’ve felt a significant improvement in my health: lost some weight, skin cleared up, better digestion, lost my craving for intense sweets and chocolate which is just amazing for me, good energy throughout the day, and the list goes on. I’ve come to the conclusion that dairy is really hard for me to handle, because when I have milk at break fast I get the most intense headache. Everything that goes into my body at that time, I feel the effect of very clearly. I’ve done a juice fast for 5 days so I think I know the type of fast you’re talking about (after watching the documentary “Fat, sick and nearly dead”). It was great and also at times awful. The main problem with the Moroccan diet is the sugar, in my opinion. It breaks my heart that diabetes is such an epidemic, and yet we continue to have tea and white bread with every meal. Anyway, Denise, I appreciate the point you’ve raised here. However your wording is problematic for practicing Muslims. Expressions like “let’s move out of the dark ages” imply that all Muslims fasting are “stuck in the dark ages”. “Let’s design a Ramadan…” also ain’t gonna fly with Muslims, for whom Ramadan is an essential pillar of faith. Come on, you are a writer and know the power of words, surely you can make a good point without risking offending an entire faith. I included your comment even though I knew it would be problematic because a)your intention in making people healthier is a good one and b) it’s essential for us to learn how to dialogue with each other even if sometimes uncomfortable. Peace and blessing to you and yours. Really? Then why is it SCIENTIFICALLY proven by many Muslim, and non-Muslim scientists, that Ramadan and the act of fasting helps you in so many ways mentally, physically and emotionally. The fast that you’re describing has no value, importance or effect on how Muslims fast during the month of Ramadan. There are many more but I’m sure you’re capable of Google-ing them. Good day to you, and Asalaamu Alaikum. “The reason seems to be that when our bodies no longer have access to food they switch from “growth mode” to “repair mode”. I found this in the article you shared above. This is the beneficial aspect of a fast but can not be achieved in just the daylight hours of a day as most organs actually repair and cleanse themselves during the night. In fact the body is like a clock and moves from organ to organ during the hours of night. You could say that eating heavy often deep fried foods eaten prior to going to bed does the opposite of what a fast should do as digestion of heavy foods during sleep impairs the repair. So basically, as much as Ramadan is an AMAZING ritual, for many many reasons it’s not so beneficial for the overall physical health of the human body. Hey, let’s agree to disagree and let us be able to debate with tolerance! Ramadan is a fast, not only of food and water but also of certain actions and thoughts. Its a time when you can consider others who are less fortunate and a time to do good deeds. It certainly is not an example of binge eating and is not an unhealthy yo-yo diet if done correctly. I actually do not know anyone personally who binges during the eating hours. Being a sufferer of migraine, I suffer at least four days a week, during Ramadan after the first two or three days Iam usually migraine free for the rest of Ramadan. Having gone through anorexia, bulimia and binge eating, and still being a borderline binge eater, Ramadan, gives me a break, I welcome Ramadan because I know my mind and body will take a break from these afflictions. Another great post, to the point. Thanks for educating. Wonderful post, thanks! I live in the US and haven’t had a chance to experience Ramadan in Morocco yet. But this made me want to be there. As always, enlightening, wise, and sweetly true. You should be the one writing the book! Fasting in Andalusia is not far off your experience heat-wise, but it’s longer (5.30-9.30 roughly) and the general rhythm of things obviously doesn’t change around us. I have the intention of spending Ramadan in a Muslim country again; it is so much more fun to break fast together and compare notes, and also a bit easier just to be swept along in how everyone else is doing it. All the special recipes and customs that come out, and people nodding their heads at each other in the street understandingly. It’s like everything in Islam, I think: you just don’t understand it unless you do it for yourself. Well done on another brilliant post, inshallah we’ll see you soon! It’s true,you’ll never feel the warmth of Ramadan until it’s over.The joy and serenity that Ramadan brings make it worth fasting .Family bonds are never stronger,and that’s one thing that pumps us with the feeling of a lofty difference and subtle pride! I gave up blogging for a while just for that !!! Yet, couldn’t read your post without saying ” Chapeau!Chapeau bas”. Thanks for a really interesting post. I was in Morocco during Ramadan last year, and you are right – those who were fasting seemed so happy to be doing so – it was a truly wonderful atmosphere. Wow, I love this! It’s refreshing to read about different customs from an insider’s point of view and having certain misunderstandings cleared up. Great post! Thank you for sharing this wonderful post, indeed. Read your post and I love, love, love it. My fuller comment is over on your blog. What a remarably fascinating post. 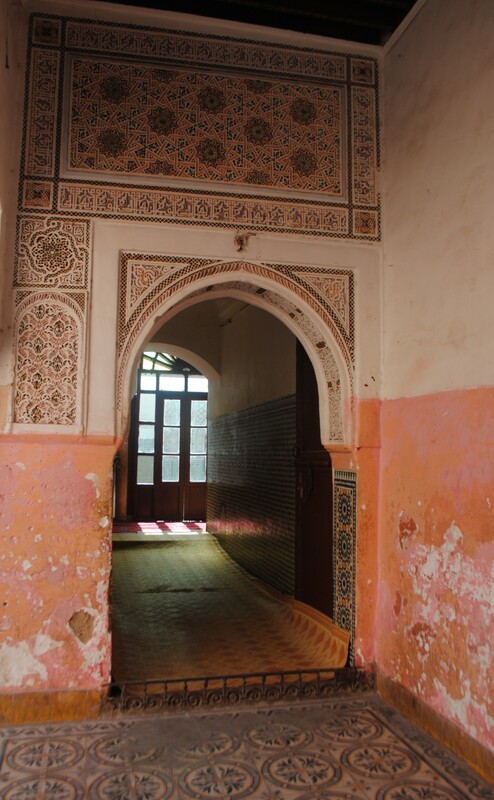 I’ve only ever seen Morocco in photographs but I’ve always loved the colours and textures in those images. The total shocker for me was your comment about the diabetes epidemic. Your food seems awesome, and I didn’t think your general diet was westernized to the point that it was as unhealthy as ours here in the USA. What do you attribute it to? Yes, I’m sorry to say that’s the case. Over the last fifty years, our bread has gone from brown to white, our consumption of sugar has risen, processed food has crept into the market….the usual suspects. Healthy eating needs to enter people’s consciousness and fast. I never used to see overweight kids when I was growing up, now I do. Thanks for noticing that piece, and thanks for taking the time to read the post. Ramadan mubarak to you, and what a comprehensive, well-written post. Your first point in particular is such a good one! I grew up in an Asian Muslim country and was privileged to experience the wonderful community, renewal of spiritual hope and relational restoration that happens during this special month. I’m not Muslim, but I enjoy the late night feasts during Ramadan. In Mumbai, there’s a place called Mohammed Ali road, and as late as 3 am, you’ll find restaurants selling everything from biryani to kheema and all in between. Great food. I’ve always been a fan of Muslim cooking. Enjoy your festival and take care. Just came across your blog and this post in particular. Glad I did. I enjoyed your post and want to compliment you on your humorous writing style. Great! I thought it was very interesting, though you couldn’t sell me on the fasting ( I could never do it). It just so happens that I just read a book called the Daughter of Persia, an auto biography of Satereh Farman Farmaian. It’s an account of her life in Iran, during the Pahlavi dynasty and the Islamic Revolution. You can read more about it on my post. Darren, the book sounds fascinating, you forgot to add a link to your blog. Hi Dohadude! Thanks for your kind comment/compliment. Your blog is very interesting, I’m enjoying reading about Qatar life from your perspective. Plus you are blogging in both German and English, hats off to you! Thank goodness for friends with large families to take in the wayfaring strangers. very nice. thanks for sharing. Look forward to new articles. Thank you for that lovely post. Such graceful writing! I always wanted to go to Morocco, to Marrakesh. You know, even though you say–and I believe you–that the fasting isn’t onerous, I’d still hide in my hotel room to eat. I’d feel cruel and rude to eat in front of someone without sharing. That shows your grace and good manners. I learned a lot from this post – and enjoyed the photographs – thank you for posting! Reblogged this on TEH TAREK. As Salaam mu alaikum! What a beautiful post! I am from South Africa, Johannesburg, and Ramadan here is nothing like you describe! 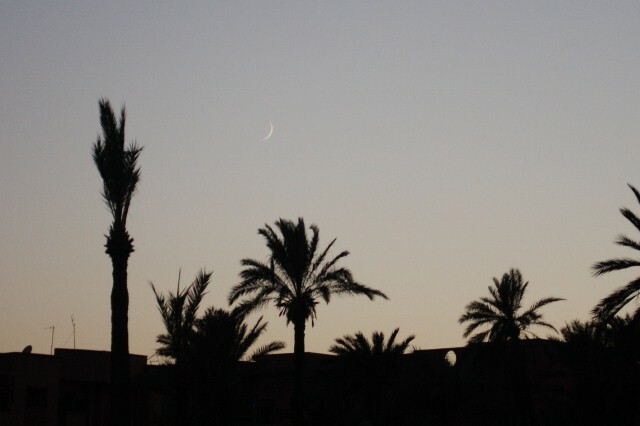 InshaAllah, I will be able to spend a Ramadan in Morocco someday! True beauty! Would love to hear how Ramadan is down there. It’s so fascinating to read about the culture of my mother’s country. Ramadan is such a beautiful time for all around the world, and it’s lovely to see how each group of people make it their own. May Allah make this month a blessing for you and yours! Ameen ya rabbi. Love your blog name. Very good advice indeed. Love the mosque in the pictures. The mosques in Iran were really beautiful. And NO tourists. Except myself. I loved this post. Educational, humorous and makes me want to travel (again)! You have an avid new reader, many thanks. Assa’laam aleykum,what a nice piece of information in respect of the holy month of Ramadhan;I wish one day in the same month of fasting to join the Moroccans. Masha’Allah i really like this one. 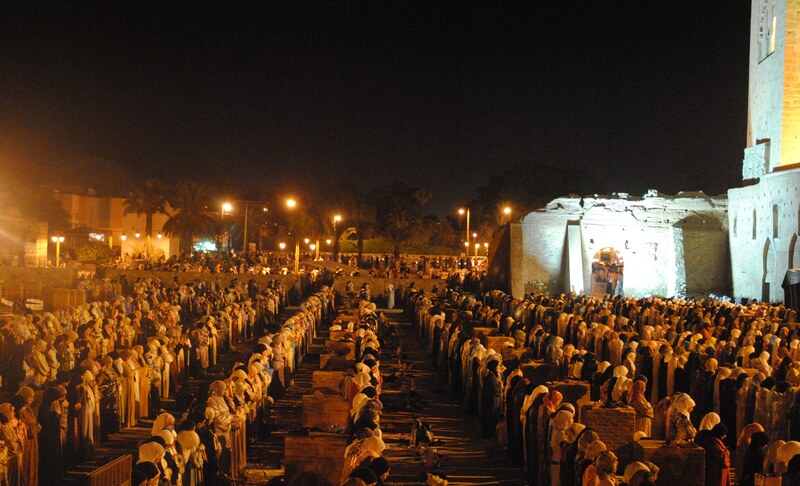 Since my husband is from Marrakech, I experienced praying at Khoutoubia in lailatul qadr myself and loved it. Too bad we are not there this year. Ramadan mubarak! Were you there last year? We were there too, so we might have crossed paths and never known it. Love this! The best part of ramadan is the spiritual high! Standing in submission, during the nightly prayers..Wow. just don’t want it to end. 😀 May Allah swt accept your ramadan. Wow, well-written, informative, funny and interesting – great post! And the women in prayer photo is quite a shot! We read this and thought we’d share it with you our lovelies!! Very helpful and ‘to the point’ post, thanks for sharing! Ramadan moubarak and may Allah bless you and the family! lovely to see all the pictures and to read yours advice which couldn’t be put better into words. Allahumma taqqabbil. Wa alaykom salam dear one, may your time be blessed this month. Love to you and yours. Reblogged this on The Footsteps of my Travels. Thank you. Something is wrong with the link though, I couldn’t get through. Reblogged this on Dawah Directions. An most interesting and well written post. I’m not a Muslim but I’ve been to Marrakech many times, though never during Ramadan. I work in London – three of my colleagues (that i know of) are keeping Ramadan and I’ve chatted with all of them about it. I’d say to one of the previous posters here not to assume that anyone who isn’t a Muslim is “cut off from God”. I’m part of the Christian minority here in the UK (yes, we’re a minority – most Europeans are NOT Christians but have no religious belief). Christians have been around longer than Muslims and we believe we’re most certainly NOT living lives cut off from God, Far from it. Christians even fast sometimes, although we don’t have set fasts like Ramadan and we might do it all kinds of ways. I had an interesting experience a couple of weeks back; I was eating at a Moroccan food stall here in London and a passing Moroccan was quite abusive towards the man serving the food for selling food during the Holy Month. The foodseller was keeping Ramadan himself but he said “I have to earn a living and I work with everyone!”, meaning his non-Muslim customers. Seems to me there are people in every religion who want to take religious laws and practices further than the originators ever meant or further than the holy books describe. Thank you Vince for sharing your experience and perspective. It’s not always easy for us to put our beliefs on the line. I don’t speak for the previous poster, but as a Muslim I have the utmost respect for anyone following one of the beloved prophets, as this is a requirement of my faith. I look for the light that is in each of us. Thanks for this! 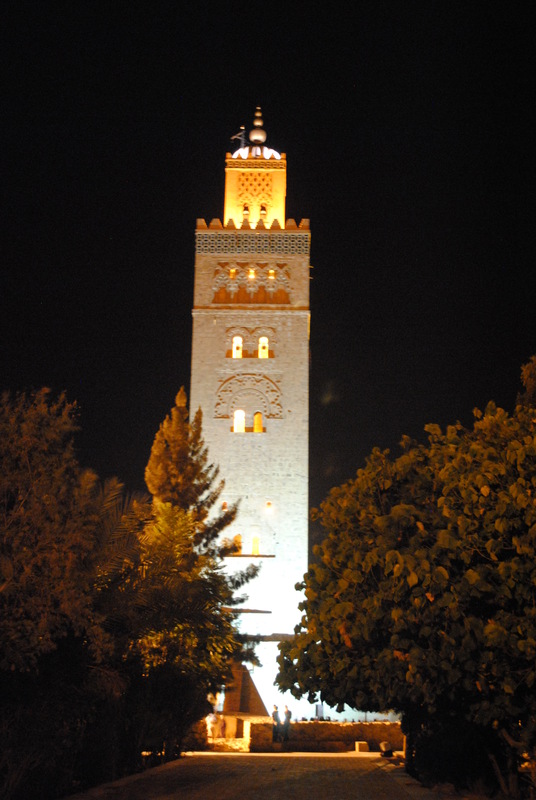 I will be sharing with our clients travelling to Morocco in Ramadan via our website! Thank you so much, yes people like us are uniquely placed to be bridges. Thank you for your comment and I can see now that people were offended by the ‘dark ages’, even though that was totally un-intentional: apologies for that! I really do think that the Dark Age applies to the whole world!!! I mean how can we have starving children on this planet of abundance? It’s the digital dark age world wide and about time we shine a light, bright and clear! diabetes! Hey, there is religion and then there is what people make of it in the name of it 🙂 I live in the Moroccan part of London and I’m well aware of what’s going on and I love the fact that my friends invite me to break the fast with them when I pass by at sunset. Moroccans are so kind and generous! My health awareness started with a 10 days no food, 4 liters of water a day and twice daily colonic irrigations. Ever since we do spring and autumn cleanses and (knock wood) we have never been ill in the last 17 years, not even a cold in winter. I was playing agent provocateur and really didn’t mean to insult anyone. As far as i’m concerned we are one big family on this planet and our cultural differences are to be enjoyed without putting wedges between people. Ethnocentricity is far, far removed from my mind: I love Morocco and its people and art and most of the food. One day I hope to come and live in Morocco 🙂 Inshallah! I love your blog! It’s totally amazing and sorry if i didn’t start with ‘what an amazing post’. It obviously is because otherwise I wouldn’t take out precious time to comment. Don’t you sometimes get tired of people of just agreeing with everything and questioning nothing? Cool! Hope you’re not spending much time in Marrakesh as the heat is now 49 degrees (120 even). I didn’t write any tips about how to deal with the heat…errr, don’t go out between 11 and 4 pm. I hope you have a wonderful time Marianne. I absolutely adore this post. Thanks for sharing! I’ve nominated you for the Capture the Colour photo contest. I’m am a fan of not only your writing but your images and I’m sure you have a lot of inspiring and colorful ones! I submitted quite late so if you’re interested, you only have a week to meet the deadline. Does Ramadan differ from country to country or are these do’s and don’ts fairly standard everywhere? I’m from the U.S. where we don’t learn very much about the traditions of Ramadan. Marie, Morocco is pretty different from the Middle East for example. Our languages, both rooted in Arabic, sound very different. And Morocco has a huge Berber cultural and linguistic identity which you don’t find in other Arab countries. Salaamualaikum! I actually have a question for you but I’m not quite sure about how to contact you, so I’ll comment here. I’m a student who’s taking a year off to travel before university. In June I’m going to be in France, insha Allah. I have two months free for optional travel – July and August and I really want to go to Morocco and/or Spain. Now, I realize a) it’s gonna be Ramadan for half the time and b) it’s the hottest time of the year. But it is the only time I have. I’m trying to find people to ask whether it’s a good idea to visit Morocco around Ramadan – especially as I’d have to find a family willing to host me or something! It would be great if you could email me back in the next month or two (or sooner!) if you get the time so we can talk and I can hear some advice and ideas and recommendations. Jazak Allah Khayr!